Collingswood, NJ – November 20, 2018 – Ingerman’s affordable family rental community, Willow Pond Village, was recently awarded the prestigious Curb Appeal award at the New Jersey Apartment Association’s (NJAA) 25th Annual Garden State Awards. Judged by a panel of multifamily (apartment) industry experts from New Jersey and beyond, the celebrated achievement distinguishes Ingerman’s Willow Pond Village as one of the most exceptional properties in the state. Ingerman was officially honored on November 8, 2018 at the “Night in Paris”-themed awards gala held at Ocean Place Resort and Spa in Long Branch, N.J.
“We’re honored to be recognized at this year’s Garden State Awards. 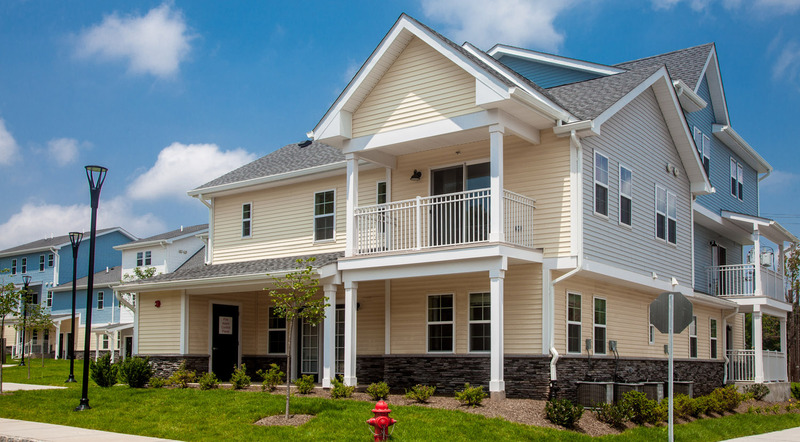 We take pride in raising the bar for exceptional affordable housing and our dedicated team at Willow Pond Village showcases the high quality rental homes we strive to offer our residents,” stated Todd Stecker, Director of Marketing and Leasing. The Garden State Awards are given by the New Jersey Apartment Association, the premier trade association representing all facets of the multifamily housing industry, including market rate and affordable housing owners, managers and developers, as well as suppliers. NJAA’s membership owns and manages over 210,000 apartments, providing quality housing to over one million New Jerseyans.